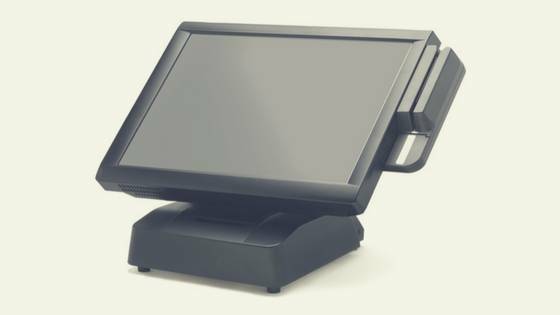 Let’s talk about how to maximize your restaurant POS system. I’m passionate about efficiency. Call me lucky, but I’m one of those rare people who has turned my passion into my career: helping independent restaurant and bar owners use systems to be efficient, profitable and successful. I teach independent restaurant owners how to compete with the big chains. First, let’s talk about systems. One of the things chains have going for them is the efficiency they achieve by systemizing everything. I teach independent restaurant owners these same exact operational systems. They’re called SMART Systems. They are Simple, Measurable, Applicable, Repeatable and Trainable. SMART Systems cover every operation in a restaurant, from your back door to your front door, and are designed to help you delegate and still trust it’s getting done. In addition, with systems in place you get numbers and reports that give you the ability to measure. After all, everything measured improves. If you want to increase profits and lower costs, the best way to do it is to implement systems. With certain systems in place, you can then turn to No. 2 above, the tools of the restaurant industry to make your systems go further. One of those tools is your point of sale (POS) system. I want to teach you how to use your POS system as an inventory manager, but before I can, you have to have certain systems in place. These systems ensure your POS system gets quality and accurate data. Yield tests for ingredients: Know how much of the product you buy you actually can use. An example I use is Romaine lettuce. Once you cut off the browned tops, the roots at the end, which are only suitable for goats, and then peel off the outer layer that’s wilting, you’re left with about 50 percent of what you bought. So your full cost is really just for 50 percent of what’s delivered to you. Your POS system needs to account for this to use it for inventory. Recipe book: To have accurate recipe costing cards (see next system), you must first have a recipe book that captures all recipes in your bar and/or restaurant. This includes drink recipes for your everyday drinks to your house specialty batch drinks such as margaritas or sangria. Every time a drink is rung up at the register, it will deduct from the inventory what is in that drink. Recipe costing cards, including batch recipes: These are the key to inventory, food and pour cost and your total cost of goods sold. In fact, they operate on a six-degrees-of-separation-principle in that they are connected to almost all systems in the bar or restaurant in one way or another. They are essential to running an efficient, profitable and successful bar or restaurant. Clean and labeled shelves in all storage areas: With clean and labeled shelves in your liquor closet, walk-in cooler and dry storage, you can easily identify each of your inventory items, know how much is on the shelves and when something doesn’t match the POS system report. These systems apply across a bar or kitchen, so if you have both, then both sides of the business need to have these systems in place to accurately use your POS system for inventory. With these systems in place, you can be sure you have the right data in hand to properly use your POS system to support inventory, which I will address in an upcoming post. If you don’t have these systems and want to learn more about their benefits, give me a call: 1-877-457-6278, ext. 101. I’d be happy to talk to you about them. To learn more about these and other systems for restaurants as well as software, read our special report, Breaking Away from the Insanity: How to easily take control of your restaurant and make more money. Download it here.